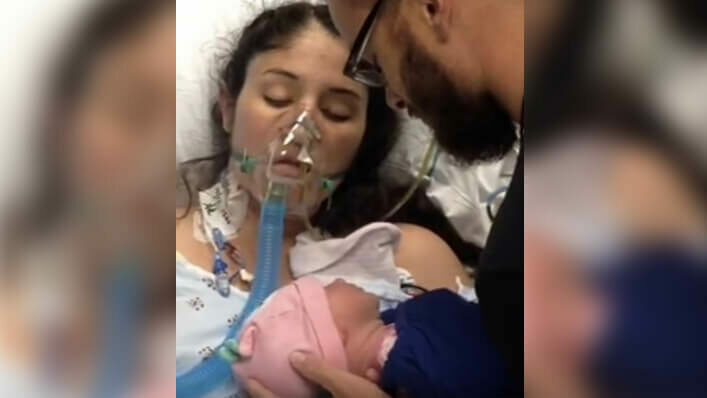 Jeremy Cawley was facing what he called a nightmare as he watched his wife give birth to their baby, Rylan, and prepared to say goodbye to the love of his life at the same time. His 23-year-old wife, Shelly, had planned on a natural birth, but complications forced doctors to do an emergency C-section. Their daughter was delivered as healthy as could be, but Shelly wouldn’t wake up after she was put under. Blood clots clogged her vitals, and she slipped into a deadly coma that doctors feared she would never wake up from. They were sure she was gone. That’s when one of the nurses, Ashley Manus, had an idea. She knew that skin-to-skin contact between mom and baby often had the capacity to nurture and revive infants, and she thought it may be able to work the other way around as well. “We’re a big proponent of skin-to-skin. We believe it has great benefits for the mom and the baby, and we just thought it can’t hurt, might as well give it a try,” she said. 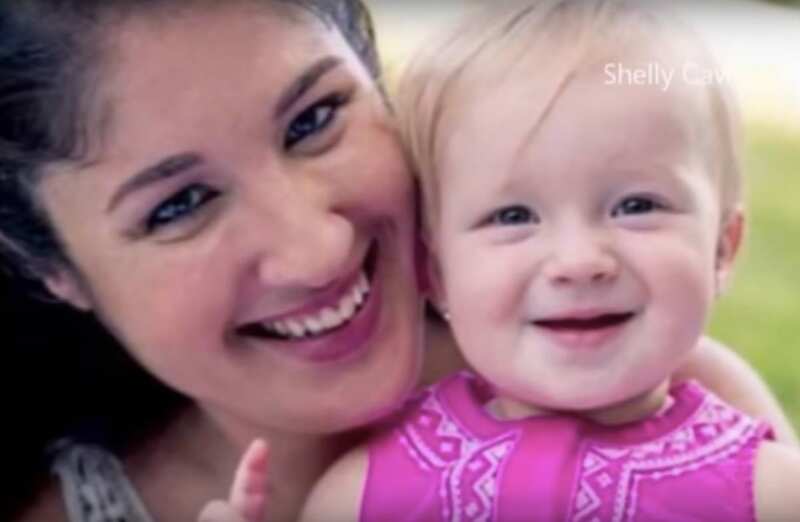 They laid Rylan on Shelly’s breast in hopes her cry could call her mama back to life. “I was hoping somewhere deep down, Shelly was still there and could feel her baby, hear her baby, and her mother’s instincts would come out and she would realize, ‘This is where I need to be,'” said Manus. Initially, the baby was so at peace that she fell asleep on Shelly’s chest and didn’t let out a sound. They started tickling and even lightly pinching Rylan to see if it would get her to cry. 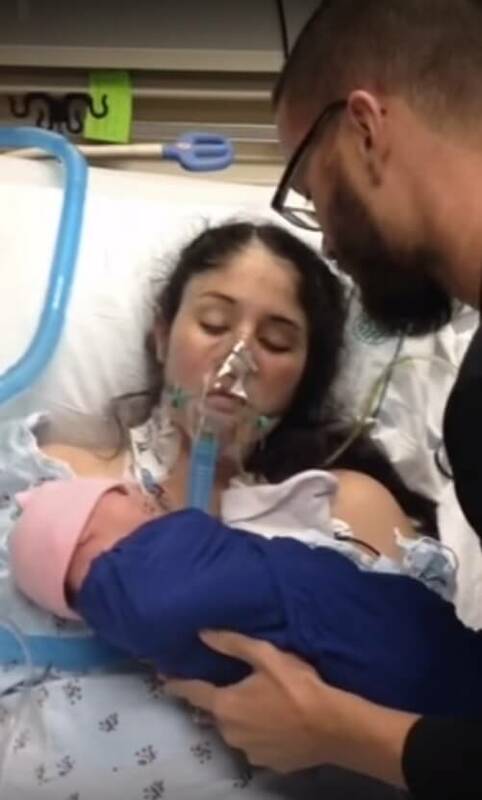 Suddenly, Shelly’s vitals spiked, and everyone knew she was still in there fighting to live so she could care for her baby girl. “It was the crying that got Shelly going again, got her fighting again. I got my wife back,” said a tearful Jeremy. Less than an hour into this world, Rylan already became a hero without even knowing it. They knew that she had saved her mom’s life. It’s now been almost four years since the North Carolina couple faced the near-tragedy, but for Shelly, she will always remember the moment Rylan brought her back to life like it was yesterday. It was the moment she knew she couldn’t deny the power of miracles.